Brad graduated from Columbia University with a B.A. in History-Sociology. He has over ten years of instructing and tutoring experience in program and in-home settings. 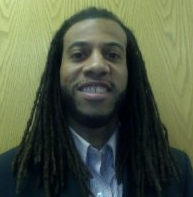 He tutors for standardized tests (primarily SAT and ACT), Humanities, Algebra and Writing. Although Brad connects well with students regardless of gender, age or academic level, he truly enjoys working with disengaged male students and any student with test performance issues. His tutoring philosophy focuses on rapport building in order to support and challenge students, ultimately motivating them to take ownership of the learning process and achievement of their academic goals. In his free time, Brad loves to listen to music, train Muay Thai, and learn new languages.